Optimizing individual steps of the production chain not necessarily leads to the optimization of a bioprocess. Instead, a holistic approach aiming for an integral design of the total bioprocess recognizing interactions between upstream and downstream steps could enable new experimental design methods preventing laborious re-iteration loops. 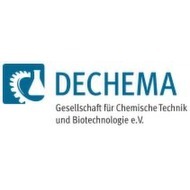 During the “Himmelfahrtstagung 2019”, new tools offering a holistic optimization of bioprocesses resulting in intensified processes will be discussed. Furthermore, as second essential pillar besides the core topic, the ‘Himmelfahrtstagung’ serves as a platform for young scientists to present their results to the scientific community. As such, young researches are invited to submit their work to the committee for getting the chance of presentation, irrespective of the topic of the conference. Over the last years, the “Himmelfahrtstagung” has developed from the most important event of the German bioprocess community into an international hot-spot for biotechnologists and process engineers, attracting an international audience and enabling scientific exchange for all those dealing with bioprocess development and optimisation. The production of bio-molecules is a sequential procedure comprising multiple steps of substrate supply, product formation, separation, purification and formulation. Often enough, recombinant producers that are the result of intensive strain engineering enable the transformation of complex substrates to the product of interest. Research and development steadily succeed to optimise individual components of the production chain; however, optimizing individual steps not necessarily leads to the optimization of the integral bioprocess. Single improvements in upstream processes may not be further exploited by downstream operation, and vice versa. It is a common observation that sequential optimization often requires time-consuming iterative post-optimization of all operational steps because of the existing interactions.